Rows of grapevines seem to stretch down to the waters edge of the beautiful scenic Okanagan Lake in British Columbia, Canada. This view of the lake is from its western shores. Rows of grapevines growing at a vineyard in Westbank, West Kelowna on the shores of Okanagan Lake, Okanagan, British Columbia, Canada. 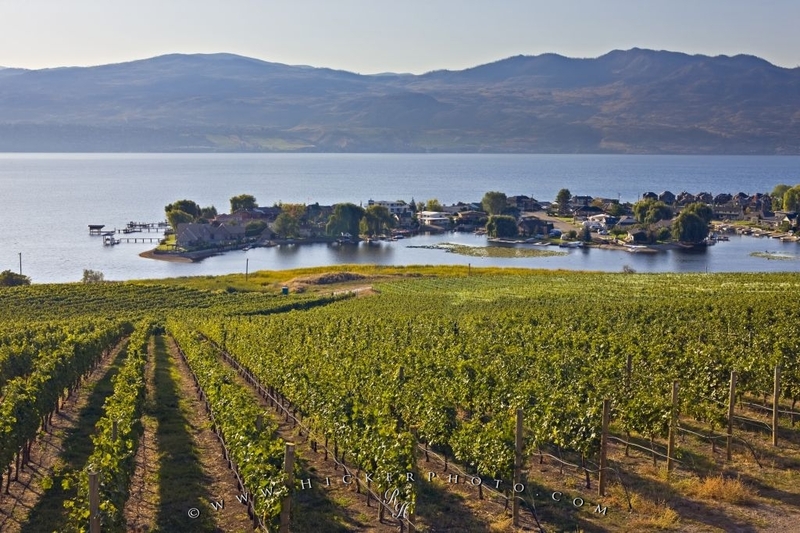 Photo of a view of grapevines and the scenic Okanagan Lake in British Columbia, Canada.